Deciding on which platform to soft launch your mobile game can make or break your whole game. Two major platforms currently are Google Play and iOS App Store. This article tries to express few major differences between the two and why game developers need to take these factors into account when choosing the soft launch platform. Reach means how big user base the platform has. Reach can be divided into global and local reach. Global reach means the worldwide reach of the platform which is more suitable parameter for global launch. Local reach means the reach of the platform in selected soft-launch area (country). When comparing two major mobile distribution platforms (aka “app stores”), Google Play reached 1 billion monthly active users on September, 2015 according to Mashable. Unfortunately, I couldn’t get any reliable data of monthly active users of iOS App Store due to Apple’s traditional way of not publishing these figures very often. 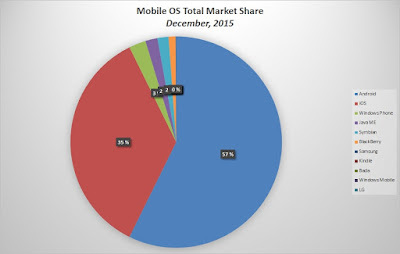 However, the market share of smartphone OS sales, according to Kantar Worldpanel, Android leads the market in Europe’s big five markets, USA and in China. Also, when comparing “usage share” of mobile OSes, Android leads the market with 57,29% according to NetMarketShare. When considering these data points, it is very likely that Apple’s iOS App Store has fewer monthly active users on their distribution platform than Google. The variable with greatest importance to soft launch platform decision is the speed from submission from developers to being available for end users. 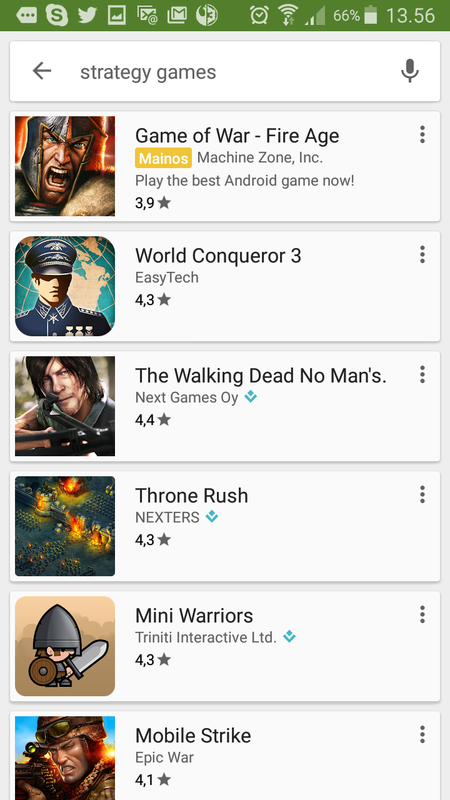 Google Play has tremendous advantage in this regard. In Google Play it is matter of hours when the game or new update is available to the players. In iOS App Store, it takes at least one week from submission for being available to the players due to the heavy review process by Apple. This allows developers to bring new updates and fixes much more rapidly to end users than in App Store. Another variable which relates to submission process is the ability to update app store listing elements without updating the binary itself. Google Play allows change app description, screenshots and feature image and promo videos without updating the binary itself. iOS App Store allows the developer to change app description but not keywords or screenshots without updating the binary. Another important consideration is the possibility to alter and test game’s icon, landing page, keywords and screenshots rapidly and compare different versions to each other. 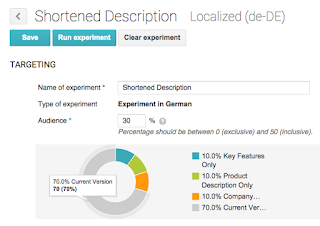 Google Play announced great feature called Experiments on May 28th 2015 which allows developers to AB-test graphical as well as textual elements in their app store listing. Graphical elements which can be tested include icon, feature graphic, screenshots and promo video. 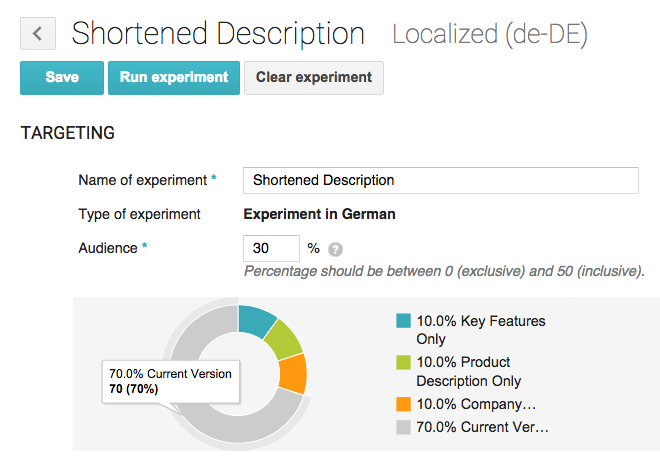 Textual elements which can be tested include app’s short and long description. After the experiment has run, developers are able to view the results of the test in Google Play Developer Console. iOS App Store doesn’t include AB-testing abilities currently, so if you want to AB-test fluently your games store listing elements, Google Play is the way to go. As what comes to paid user acquisition possibilities, both platforms have lot of ad networks which offer huge inventories for running your UA campaigns. But what comes to UA possibilities inside the platform itself, Google Play offers something unique. It allows developers to buy Search Ads which let them display advertisements inside Google Play search results. Google Search ads are excellent because they tap into intent-rich moments in users’ mobile use cycle. 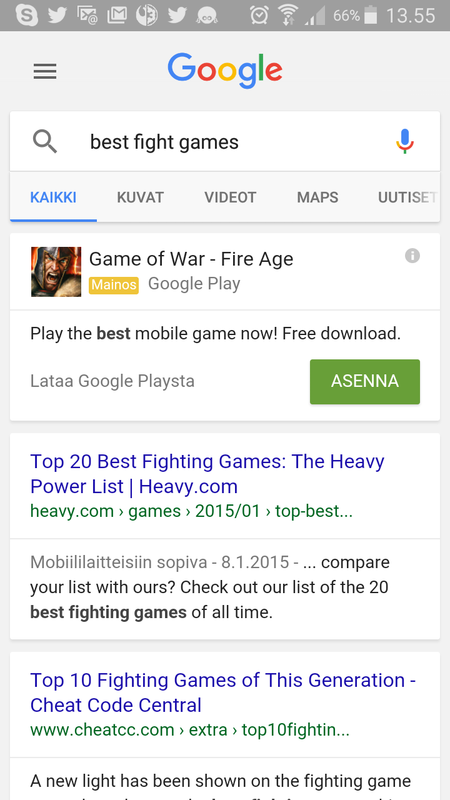 Search Ads display both in mobile Google Search results as well as Google Play search results. The greatest thing is that you can use 3rd party partners such as SensorTower to analyze the best keywords for your title (or your competitor’s) and buy Search Ads from those keywords. What could be better UA strategy, especially in those markets and keywords where competition is still low and prices relatively cheap? In my experience, one important but surprising factor which most developers don’t understand is the desktop-to-mobile conversion. With desktop-to-mobile I mean the ability to save, install or favorite a mobile game on desktop so that you can play it later on mobile phone. This is important because a lot of time, people may find interesting games while they use desktop computers, but either don’t have time or have limited intent to use their mobile phone at that time. At that time, it is really nice to be able to efficiently save, favorite or install the mobile game on the desktop, without changing the focus to your mobile phone. Google has really nice advantage to other mobile distribution platform holders with their huge presence on desktop internet. According to NetMarketShare usage monitor, Google’s Chrome browser holds second place in desktop browser market share with 32,33% usage market share. Since a lot of users have Google account, and due to the possibility to sign-in to your Google Account in Chrome, Google makes it really easy to download games from the desktop view of Google Play to your mobile phone. You just first tap “install”, then confirm that you give the rights to the app which it requests and then the download to your mobile phone begins. iOS App Store also allows users to download game via desktop, but little bit less efficiently. First, the user has to open up the app in iTunes program in PC (assuming that he has installed that), then download the game to the desktop, and then synch the data to iOS device via USB-connection or through connecting to same Wi-Fi where the desktop is. That’s a lot of steps compared to simple two-step installation process on Google Play desktop. 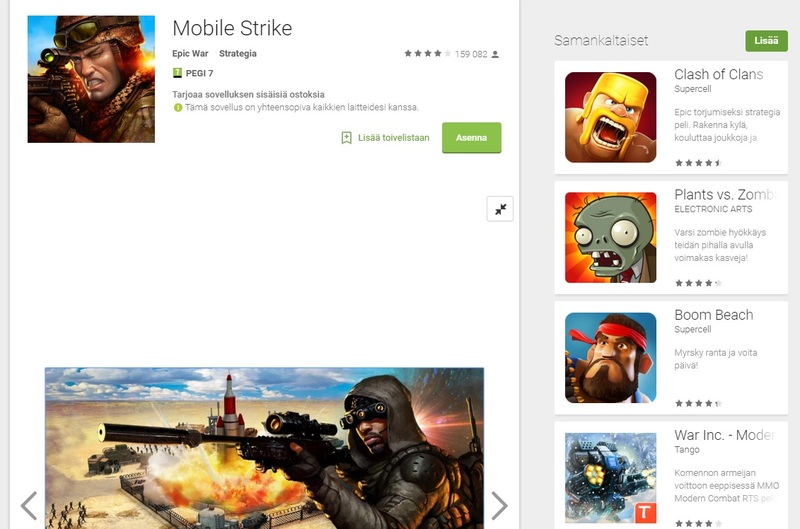 Above, I have presented five major reasons why Google Play is the ultimate soft-launch platform for mobile games. There are other reasons beyond these - such as revenue per download, payment behaviour etc. - which are different in different platforms. But since actual data on some of these factors is really hard to find, I have excluded them from this analysis. What do you think? Did I miss something important? Do you disagree me on these findings? Please comment below! Yes, Google Play Store is easier for app to enter. You have nice info and examples. Could I add some of them to my own article about App Store Optimization. I'm looking forward to your reply. Thank you for information. It's quite clearly to understand. Moreover, for people who would like to focus their attention on the app development costs (time and money) and come the mobile market with a quality product like Tinder, I could advise to read this article:Thunderrise Go aheard, it's very practical to use! If you want to sort out Yahoo issue with Yahoo helpline number then dial the recommended contact number soon and get reliable solutions for sure. Just a phone call at the helpline number for Yahoo will help in resolving emailing, password and error based cases and work immensely in the best ever condition. The yahoo mail account is one of the oldest email service there is and it is not very difficult to handle the yahoo mail related troubles that you face when you have proper knowledge of how to handle any technical issues that do crop up while you are working with the account. Yahoo is one of the leading service providers on the internet. The service provider exists before Yahoo came into the scenario, and many people have their e-mail accounts with Yahoo. To get the full benefit of the applications provided by Yahoo, one needs to sign-up with their name, address and phone number and other details. But, as with all services users, can face problems at some or the other point. To solve the problems of their customers Yahoo has created Yahoo Technical Support Phone Number. if your browser has not been updated for a long time then it is better to uninstall and install the latest compatible version. You can check which browsers are compatible with Yahoo mail from Yahoo technical support help center. If you still come across the problems you can disable the anti-virus in your computer and then try to use Yahoo mail account. You will find that Yahoo mail account customer service number remains active round the clock to support its clients. You will come across the two-factor authentication system, which is quite robust and helps to enhance the security level. Gmail provides great customer service to help its customers solve all types of Gmail related problems. The technical help at Gmail provide best solutions to users for variety of problems that they face from time to time. The technical problems create trouble in using the Gmail account smoothly and this disrupts the work of the Gmail users. There is a technique to save email messages in the occasion a record is hacked. Two Internet Gmail Technical Support Contact Number accounts with separate and extraordinary passwords are used to go down all messages. In the occasion one record is hacked, the other record saves the email. In short you would always get help for any type of trouble from the Gmail technical support team and the number is available toll free globally around the world. If you are looking for better and efficient technical support in your Skype account then you can contact us Skype Technical Support 800 telephone number. Skype account support technicians are available 24*7 hours for USA/ Canada customers. In case the connection in your internet is right and you are still confronting the Gmail account issue, you need to immediately begin your search for an authentic third party Gmail customer care 1800 telephone number 24/7. The firm will provide you the complete solutions for the issue “unable to access Gmail account”. The main aim of the firm is to deliver the quality tech support solutions. Have you ever undergone the ordeal of waiting for the technical support from the yahoo tech support engineers? Such things are not the characteristic features of yahoo customer service. Yahoo customer service is not the newly born component of yahoo .From the very beginning, yahoo customer service has been very much integral to yahoo services. From time to time, certain changes and improvements have been introduced to yahoo customer service with a view to meet the changing needs of the yahoo users. So, if you are a yahoo user, you are certainly fortunate enough to have the yahoo support professionals always available at your closest disposal. In case you are using Gmail account for quite a longer period of time and confront an issue in downloading emails on your smart device, you don’t need to get worried at all. For the particular trouble, you need to call Gmail customer care 800 telephone number anytime. If you are unable to update high resolution picture in your Yahoo mail account with right dimension, then you should immediate talk with Yahoo customer service expert team vial dial toll free help desk phone number. "Forgot account password" is a very common issue which almost every email users have faced once in the lifetime. If you forgot password for your Yahoo mail account, you can easily retrieve your password by using the Yahoo password assistance page. I like puzzle and brain games. I used to play it. I used to play mini games actually. I looked around and liked your mini game blog. Try to visit my blog. This is my blog with passion. I would like to introduce good mini games. I think, Still there aren't many internet users look carefully and enjoy all the games. you can leave comment about your game on my blog and explain about your games. Comcast is an American Telecommunication company provides cable TV services and Internet service. Subscribers of Comcast also get a complimentary email account called Comcast email. You have tried everything mentioned above but still, the problem persists, No worries! Call our Comcast Email Experts as they are available 24*7 to help you out. Skype application is well known for its variety of quality features. One of the most interesting features that Skype offers is Group chats. It allows making group video chats with up to 25 persons at a time.Our experts can be contacted via our toll-free number, email and live chat as well. Moreover, our communication lines are open 24 hours. So, feel free to get in touch with Skype Support Team or Skype Live Chat . We assure to serve you with utmost quality services. In case you are using Skype application for quite a longer period of time and suddenly started confronting issues of signing in, you don’t need to get worried. At certain circumstances, need to check the latest version of Skype. know how to deal with various issues so without any further delay just dial a Skype customer support phone number and get an impressive technical response within a short duration of the time slot. Yahoo Mail is widely used for both professional and personal use. Being one of the oldest email service providers, Yahoo Mail is a reliable and feature-rich email service provider.it is suggested to allow our yahoo technical support live chat with expert team to look into the issue and come up with the appropriate solution for the problem. In case you are using a Facebook account on your computer system and met with few issues on your account like unable to change the password of an account, an issue in changing the username, trouble in sending a friend request and much more, you don’t need to go anywhere else. You can trust the company’s expert anytime, anywhere and attain the ultimate Facebook tech support or Facebook live chat within a short duration of a time slot. In case you have been surfing Facebook every day, possibilities are there that you are by now well-known with usual stuff such as updating status, add applications & pages, add/delete friends, walls, and profile, etc. If you are experiencing any technical issue in using these features, then dial a Facebook customer support phone number. The number will help you in connecting to a certified Facebook tech professional team. The latest version of Outlook.com is called Outlook Mail, sometimes referred to as 'Outlook on the web' and it’s a part of Microsoft office and if you want learn how to configure email in windows live then visit our website and contact with excellent support team. Skype-to-Skype calls are free. However, if you want to call people on their landlines or mobile phones from Skype, then you will need to purchase Skype Credits or purchase a monthly subscription plan. If you face any problem related with purchase skype credit so we will help you. Visit our website or connect with customer support team. Call forwarding lets you forward your Skype calls to voice messaging, a landline or mobile number, or another Skype contact. If you don’t understand how to deal with it so contact with our support team and visit our website we will defiantly help you. Skype for Business are often concerned about how they can provide excellent call quality and voice performance. So, these three steps manage the call problem and they ensure to give the best quality as you transition to Skype for Business. if you don't understand visit our website or contact support team. We are providing service Email Support and Printer Support. This service will help you for any type of issues like Yahoo, Hotmail, Gmail, Window live, roadrunner, Outlook etc. and also printer related problems. We will handle it if you are facing these types of problems so visit our website or contact with expert team. Skype is completely based on the web browsers. You must make sure that you have the latest version of the internet browser. On the other hand, you must ensure a fast and a stable internet connection. It might be possible that your Skype account has temporarily been blocked via Skype; as a result, you are unable to send or receive any email. If you access your Skype account via any third-party email client then, you must verify the account settings closely. Some browser extensions and add-ons interfere the Skype mail, disable them and try again. In fact, the Skype customer service phone number remains dynamic 24 hours and you can call the number at any point of time. Safety & Securities:- Kingdom allows only those persons to pick up the kids, whose photographs are provided to us by the parents at the time of admission. Ratio:- Company recommends ratio of kids, Teacher-Guarden & maid servant should be 15:1:1. We are tech experts and provide tech services for various types of printer devices such as Dell Customer Service, HP Printer Support, Canon Printer Support, Xerox Printer Support, Roland Printer Support, Ricoh Printer Support, Epson Printer Support, Samsung Printer Support, Kodak Printer Support, Hitachi Printer Support, Lexmark Printer Support etc. Have you issues in your google drive? If you want to resolve your query instantly. So, just visit Gmail Customer Service and also contact us. Every family with kids, require a neighborhood school and child care centre. If this is possible within the walled vicinity of the Society/Township it is convenient. Day by day the number of working parents. renew, install and update etc.